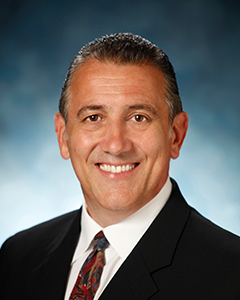 We are pleased to announce the addition of Jimmy Leitera, MSN, ARNP, certified advanced registered nurse practitioner (APRN), to the South Florida Orthopaedics & Sports Medicine Pain Management team. Mr. Leitera will assist our existing pain management specialists, John D. Beelitz, M.D., and Juan A. Ramos, M.D., and provide an increased level of availability for those undergoing pain management treatment. He earned his undergraduate degree from the University of Pittsburgh and Advanced Registered Nurse Practitioner degree from Texas Tech University Health Science Center. He has been a nurse practitioner in a hospital setting since 2001. Mr. Leitera has a strong passion for pain management and brings years of hospital experience with him to the Interventional Pain Management team.